Furthermore, there are financial benefits for businesses and institutions that compost. Middlebury College saved $25,000 annually by composting its food waste. And the New York Department of Correctional Services saved over $1,000,000 across 48 facilities in just one year! Michael Snipes, the director of the Laurens County Landfill in Georgia, is well aware of these figures, and he's doing something to address the problem of food waste in his local community. More than five years ago Snipes began exploring the possibility of composting organic waste materials to prevent them from being dumped in his community's landfill. Landfills like Laurens County can receive thousands of tons of waste every year. The landfill, however, has a finite amount of “airspace” to fill with waste. The more waste that can be diverted, the longer the life of the landfill. “One goal is to maintain that space in the landfill for future generations in our community,” said Snipes. According to a 2012 report by the University of Georgia 51 percent of Georgia's landfills “are in closure or will be closed within 5 years, and 62 percent will be closed in fewer than 10 years.” The report calls this “an alarming rate.” Not only is there the problem of where to go with waste in the future, but the cost of disposing of this waste will climb as landfills close. The Laurens County Landfill receives lots of biosolids from a local water treatment plant, around 2,000 tons of biosolids per year. In the landfill industry, the most efficient way to dispose of these biosolids is to mix them with trash and compact this mixture in a trash compactor, which shrinks the volume of both materials. This wasn't an option for Snipes because the biosolids arrived in unpredictable deliveries. This challenge is what kick-started Snipes's composting program. 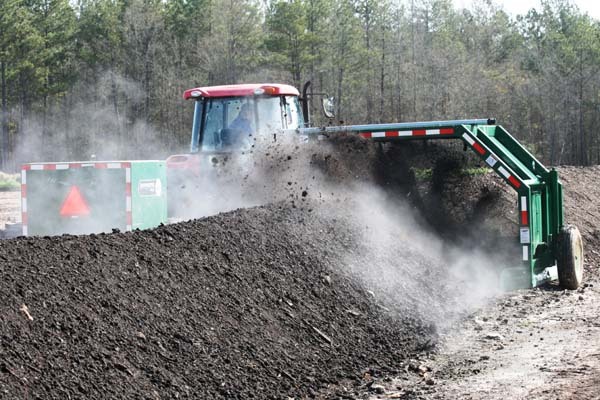 Instead of compaction, Snipes turned to composting and he created a composting operation on top of the active landfill to compost organic wastes to prevent them from filling the landfill's valuable “airspace.” Over the past four years the landfill has added more waste streams from the local community ranging from animal mortalities, to yard waste. And through composting it now returns these wastes to the local community as a value-added product, nutrient-rich compost (click here for the full story). The most recent addition to the program is food waste. And by composting this food waste the landfill is leading the towards addressing a nationwide problem. At least 40 percent of all food grown in the U.S. is wasted. And most of this waste is sent to landfills where it takes up as valuable airspace and produces methane. While more than 35 million tons of food waste was generated in the U.S. in 2010, only three percent was composted. That number remains unchanged three years later, but Snipes hopes to change that. In 2012 the landfill launched a pilot program with local schools to test the feasibility of composting all of their food waste. Workers from the landfill collected food waste at county schools once a week in 95 gallon “roll carts.” They would swap out the carts full of waste with a clean ones, hauling the full carts back to the landfill for composting. Each week workers at the landfill would collected approximately 600 pounds of food waste. Soon after the landfill began working with local schools, a nearby state prison asked if they would accept its food waste, a total of 500 tons per year. “It's everything that is scrapped off of the plates, and there can be some left over from the actual preparation. It is composed of various shapes, forms, and sizes, everything from peas and beans to oranges and apples that haven't been touched,” Snipes explained. The schools receive a competitively priced tipping fee which helps them to keep their waste disposal budget, lower. The State prison also enjoys the competitive tipping fee, and composting its food waste saves taxpayers in the state of Georgia thousands of dollars every year. Tipping fees from the food waste are increased revenue for the landfill which help it to continue its mission of serving the community, and the food waste adds moisture to its biosolid compost windrows. Composting the food waste drastically reduces the methane that would be generated as the waste rots in the landfill. Methane is 25 times more polluting as a greenhouse gas than Co2, and a large percentage of U.S. methane emissions comes from rotting food waste. Hundreds of tons of waste is disposed of in an environmentally friendly way and transformed into a rich compost that is used by local farmers, commercial landscapes, home owner lawns, and the landfill as a soil amendment to replace commercial fertilizer. 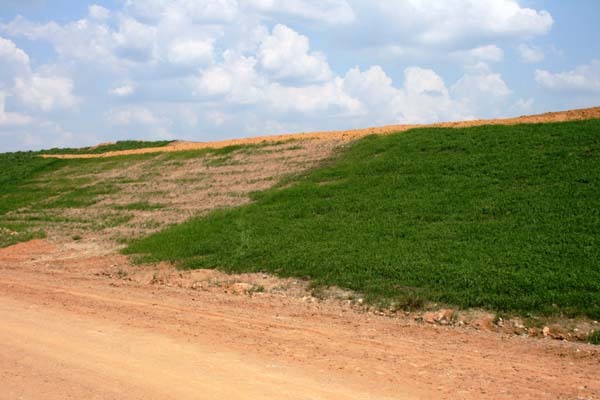 In fact, the grass that controls erosion grows significantly better on the landfill's slopes when it's fertilized with compost compared to commercial fertilizer, according to Snipes. This year the landfill is expanding its composting program to include all of the schools in Laurens County, which will add some 150 tons of food waste to the composting program, in addition to the 500 tons that it is currently receiving from the state prison. Transportation remains the biggest challenge that the landfill faces, and Snipes said that the landfill is doing its best to keep costs down for the schools and prison to ensure that their service remains a significant savings for the local community. Snipes said that adding food waste to the landfill's existing composting has been a perfect fit. “It's all one operation it's just that the food residuals go through one extra step.” he explained, allowing the Landfill to add yet one more service that benefits the local community, as well as addressing some of the big waste management challenges that our country faces today. 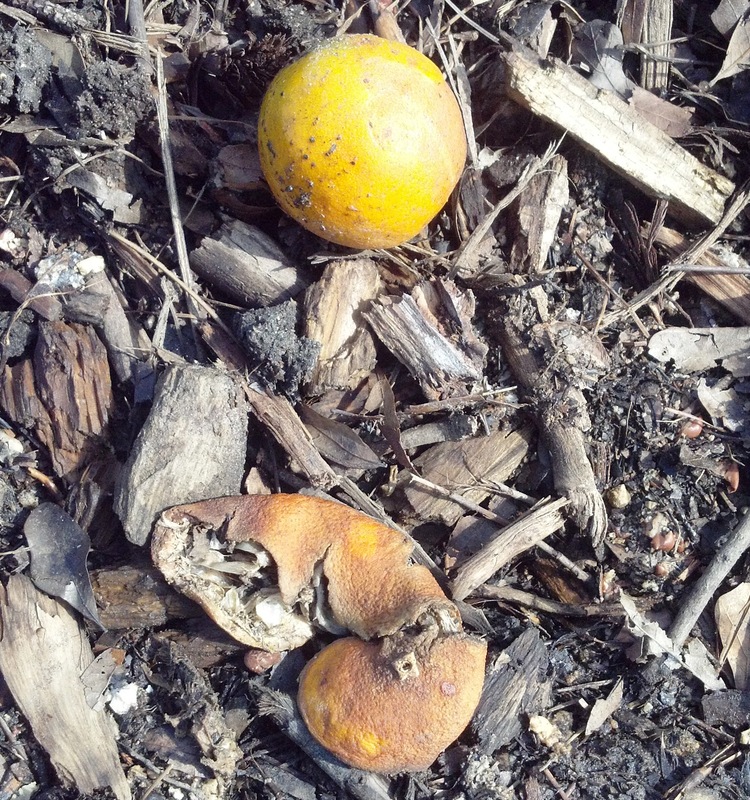 In the next post Michael Snipes shares some of his tips for composting food waste.